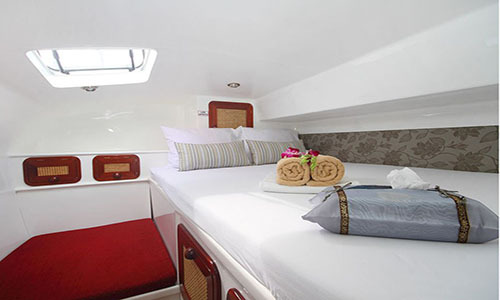 This wonderful cruise is sure to make your vacation in Thailand an unforgettable experience. 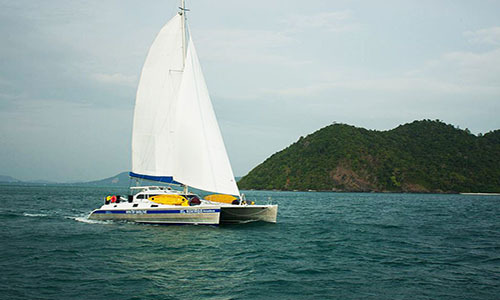 Board the Amadeus Catamaran and enjoy 6 days and 5 nights on the islands south of Phuket, where you can snorkel, swim, relax, and treat yourself to the delicious cuisine. The cruise’s schedule is as follows, although the exact itinerary will depend on the weather as well. 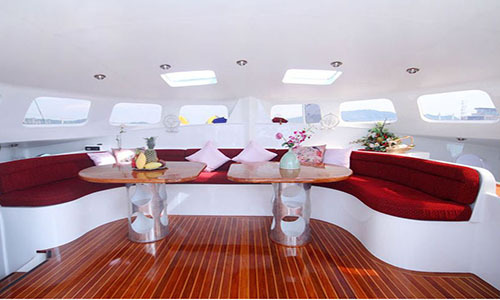 Transfer from the airport or from your hotel to Chalong, where the ship is moored. 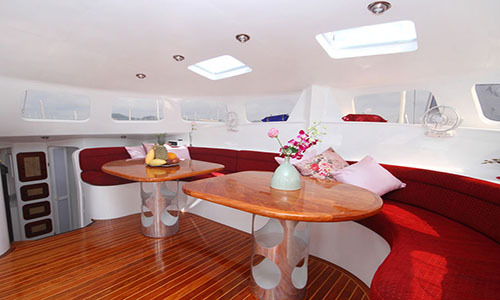 At 10:30 AM, we meet at The Bullship Bar and transfer to the Amadeus and settle into your cabin. After an orientation by the Captain, the Amadeus sets off at around 11:00 AM. Then you will have your first taste of our chef's delicious cooking. After lunch, we will set sail again, this time for Ko Phi Phi Don. After a tasty breakfast, we will hoist sails and go to Kantiang Bay, in Ko Lanta Island. This is a large island which offers many daytime activities, including, for example, an elephant ride through the island’s tropical forest. The water is crystal clear, and the range of sea life in the Coral Sea will amaze you. In the evening, we’ll set up a BBQ on land for dinner, which you can enjoy under a beautiful sunset. Just in time for a spectacular sunset, we arrive at Maya Bay. This is where the film “The Beach” was shot. We will spend the night in this beautiful bay, which is one of the TOP TEN sights of our planet. With luck, you might be able to see a pod of bottlenose dolphins along the way. The bay we will spend the night in is very secluded, and there will be different activities possible there before we drop anchor. The water is clear as glass, and you can lure the most colorful fish towards you with just some rice. After breakfast, the ship will take you back to Phuket’s Chalong Bay. 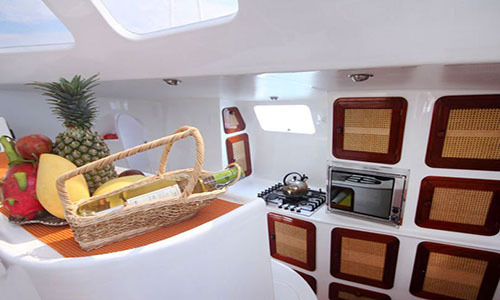 We will arrive around noon, and you will disembark with unforgettable memories. Of course, we will make sure get you to the airport on time, or take you to your hotel. 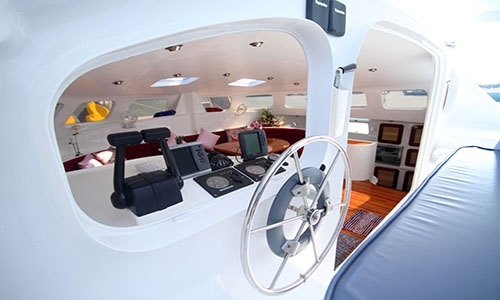 Design/built Faraway 48ft ultra fast and comfortable, brand new, aluminium catamaran, launched in 2014.